I like to think of myself as a very responsible person, but put me in a room with a block of cheese and I cannot be trusted. My mom says that as a baby I was most content eating pieces of cheese, and the same thing could be said about me today. In my quest to lead a healthier lifestyle without sacrificing my favorite food, I try to eat the cheeses that give me the biggest bang for my buck (or calorie) in my meals. Don’t miss these lighter options for cheese lovers. 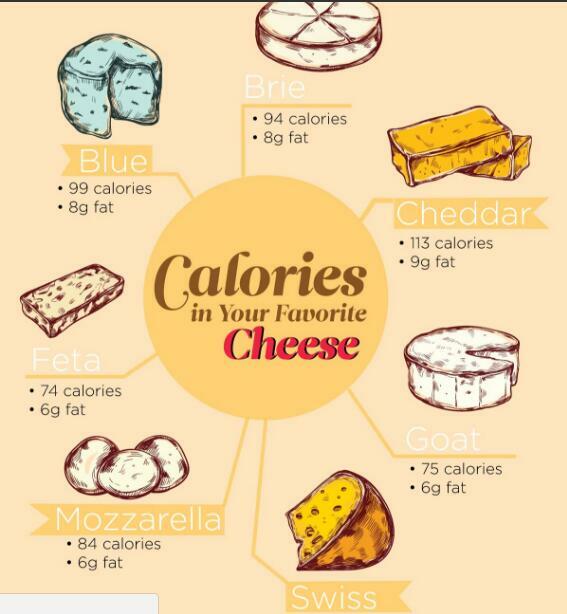 The cheeses that pack the most flavor also tend to the lowest in calories: blue, brie, feta, and goat. And because they are more flavorful, I am satisfied with smaller portions of them. One ounce of feta or blue cheese goes a lot further in taste than one ounce of cheddar will. Give it a try in your dinner tonight.